For the past decade, Americans have been subjected to dire warnings that B. pertussis whooping cough cases are on the rise and it is the fault of parents who don’t vaccinate their children. 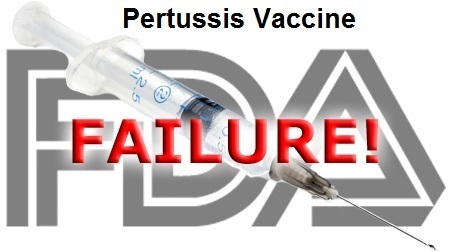 That myth actually goes back to the early 1980’s, when parents of DPT vaccine injured children in the U.S. were asking for a safer pertussis vaccine while, at the same time, discovering that whole cell pertussis vaccine in DPT shots did not prevent infection and vaccine immunity lasted for only two to five years. What’s old is new again. And it is time to dispel the myths and lies being told about pertussis and pertussis vaccines. FACT: Both the reactive whole cell DPT vaccine licensed 1949 and the less toxic acellular DTaP vaccine licensed in 1996 do not prevent infection or transmission, and only provide two to five years of temporary immunity at best; FACT: Millions of vaccinated children and adults are silently infected with pertussis in the U.S. every year and show few or no symptoms but spread whooping cough to vaccinated and unvaccinated children - without doctors identifying or reporting cases to the government; FACT: In response to mass pertussis vaccination campaigns beginning in the 1950s, the B. pertussis microbe evolved to evade both whole cell and acellular pertussis vaccines, creating new strains producing more toxin to suppress immune function and cause more serious disease. Desperation has set in: Old Vaccine, New Tricks: Revive Early Pertussis Shot, Study Says: http://www(dot)livescience.com/54210-whooping-cough-old-vaccine.html In a new study, researchers suggest vaccinating children with one dose of the older whooping cough vaccine — called the whole-cell pertussis vaccine — and then giving them four doses of the current whooping cough vaccine in early childhood. (Whooping cough is also known as pertussis.) Currently, children are given five doses of the new vaccine. Using a mathematical model, the researchers found that this "combined" vaccination strategy could reduce the rate of whooping cough infections by up to 95 percent, and save millions of dollars in health care costs. Researchers from The Santa Fe Institute, a nonprofit research center in New Mexico, conducted the study. The older, whole-cell pertussis vaccine is linked with a higher rate of side effects, such as fever, than is the newer version. But because improved vaccines against whooping cough are likely years away, "in the interim, switching to the combined strategy is an effective option for reducing the disease and mortality" from whooping cough the researchers wrote in their findings, published today (March 28) in the journal JAMA Pediatrics. [5 Dangerous Vaccine Myths] WOW!